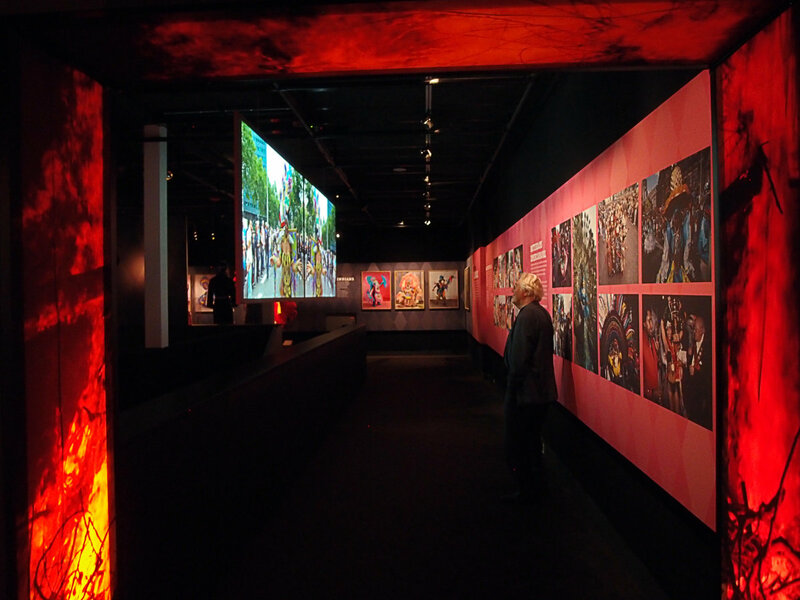 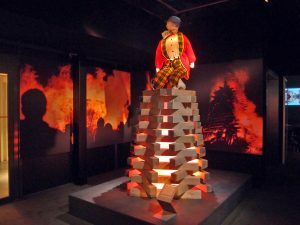 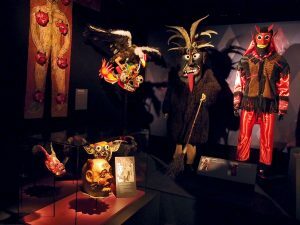 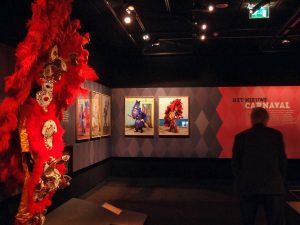 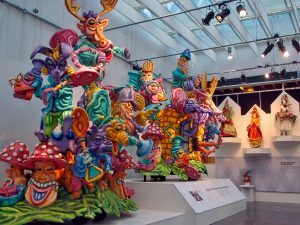 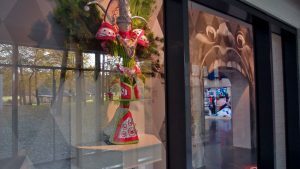 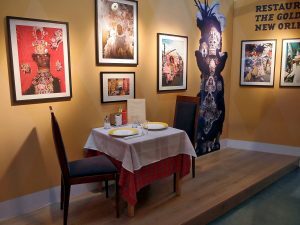 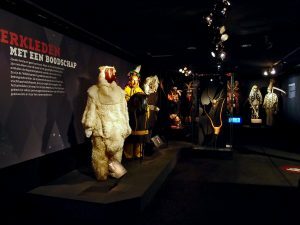 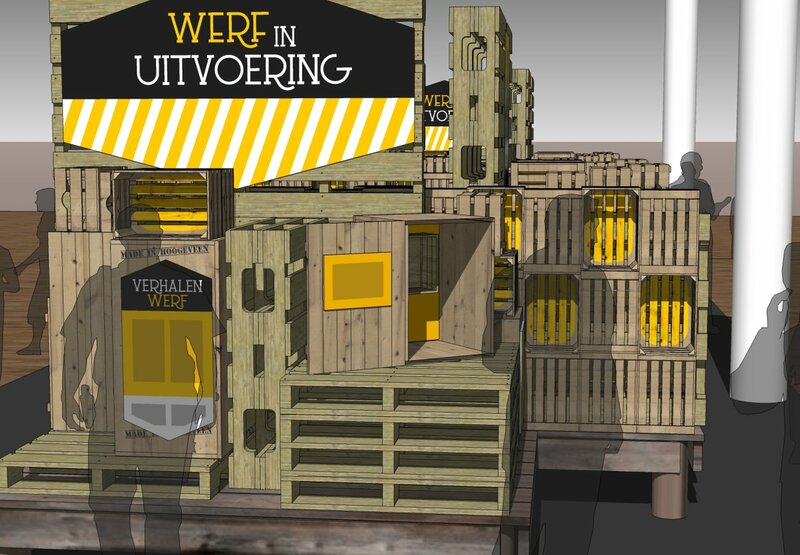 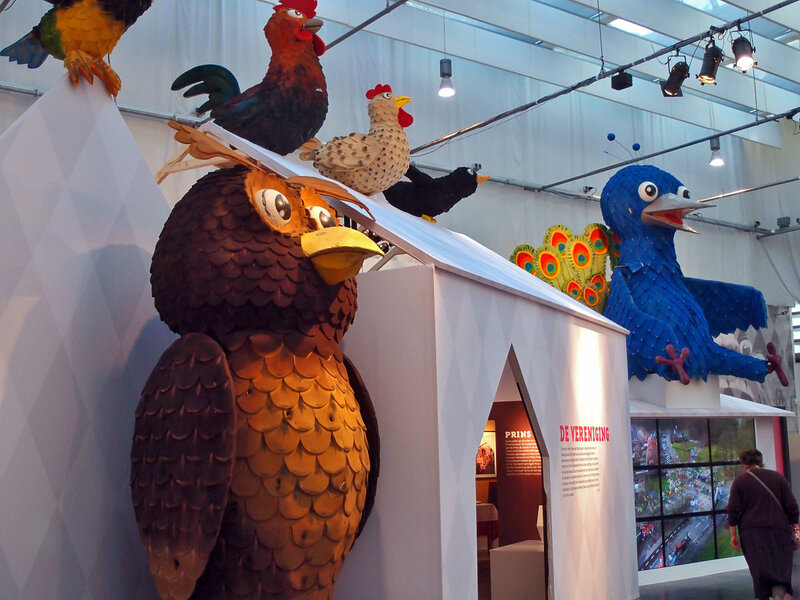 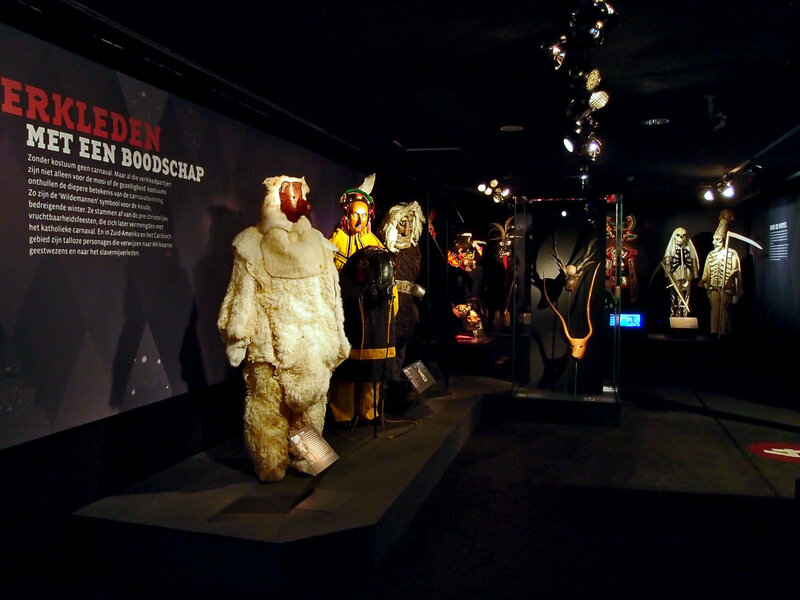 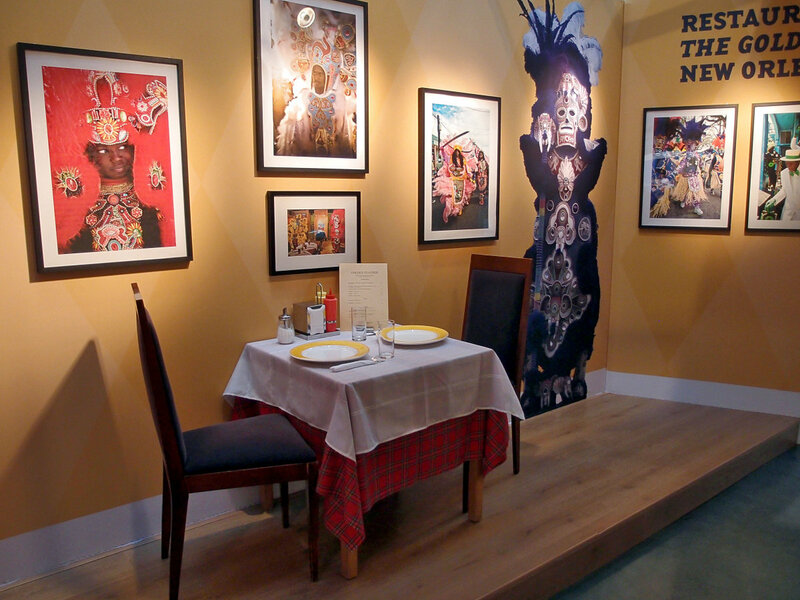 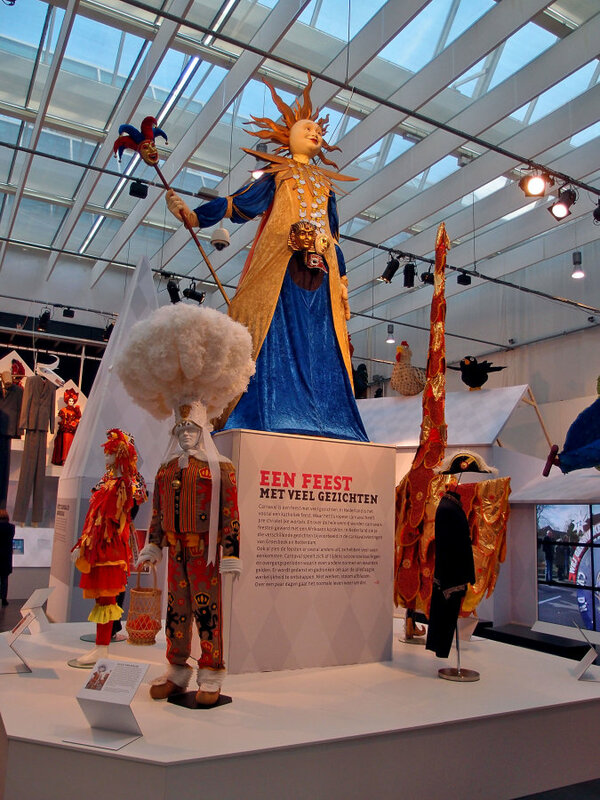 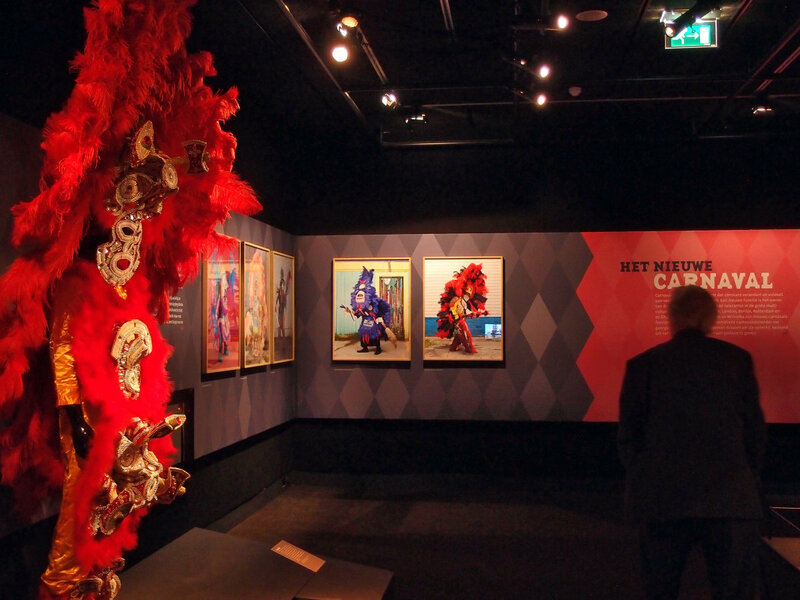 The Carnival season is upon us, and the Afrika Museum in Berg en Dal (Netherlands) is devoting an exhibition this year to the phenomenon “Carnival” around the globe. 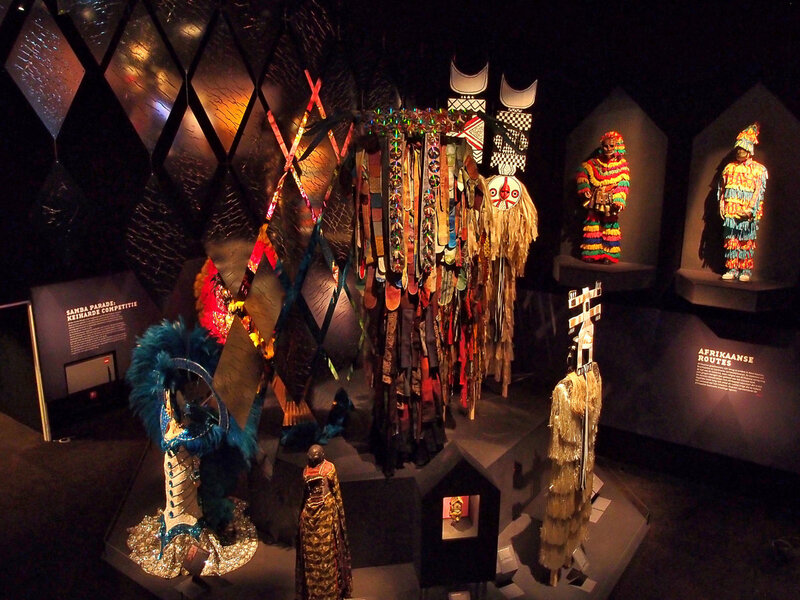 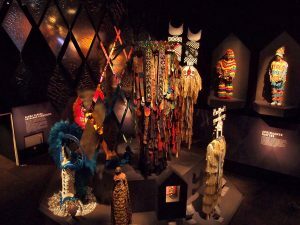 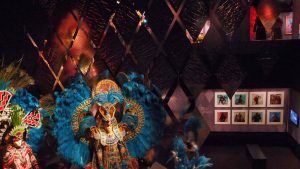 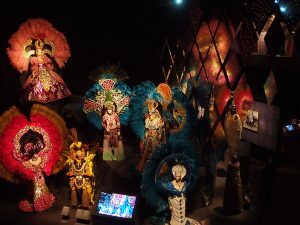 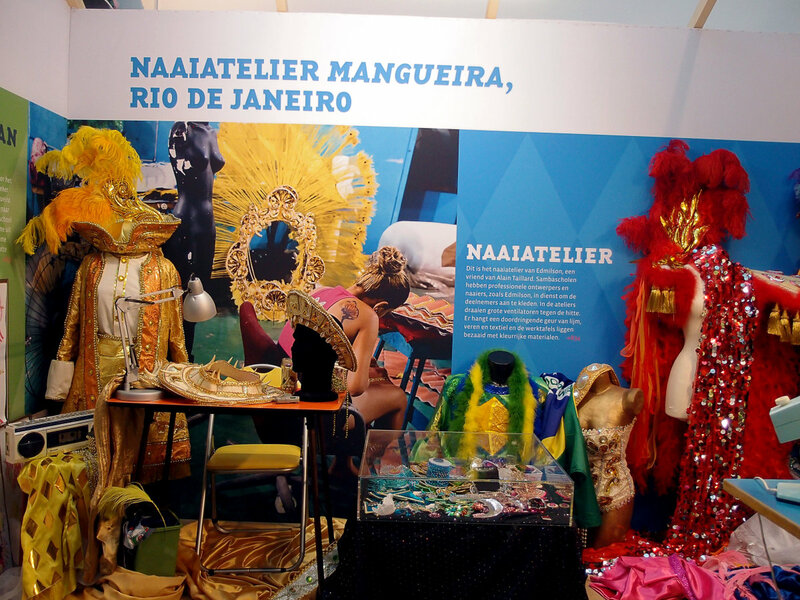 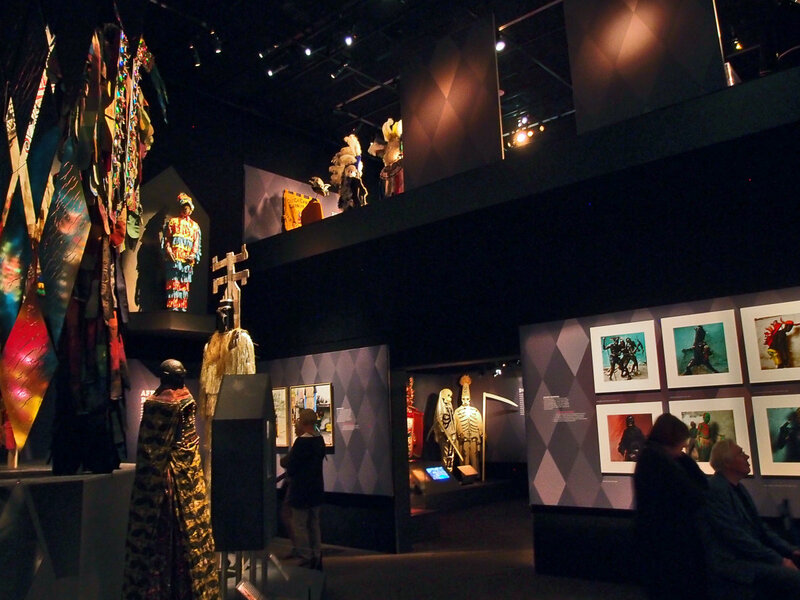 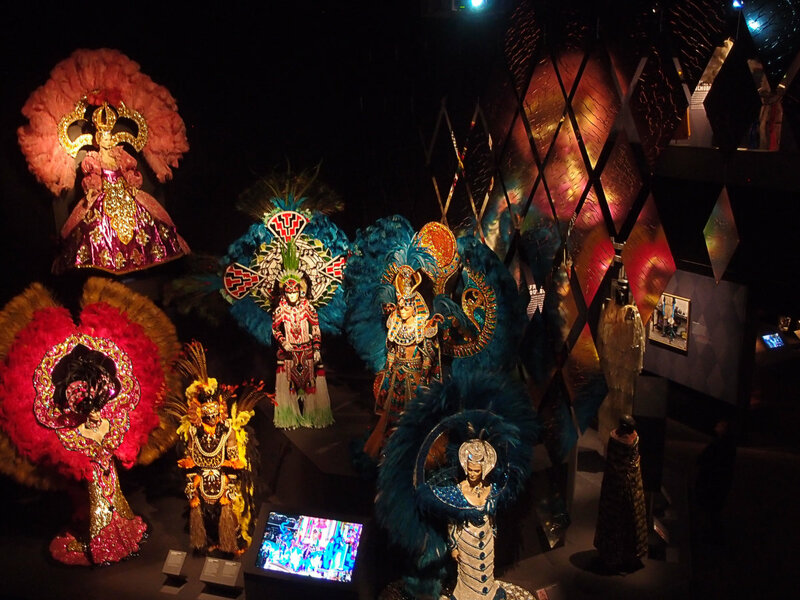 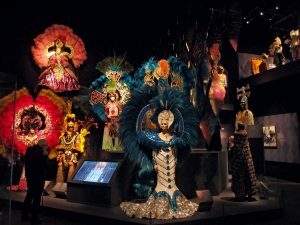 Appropriately the museum places an accent on Carnival traditions among African inflected cultures in the Americas: Brazil, New Orleans, Haïti, and ancient traditions in Africa itself. 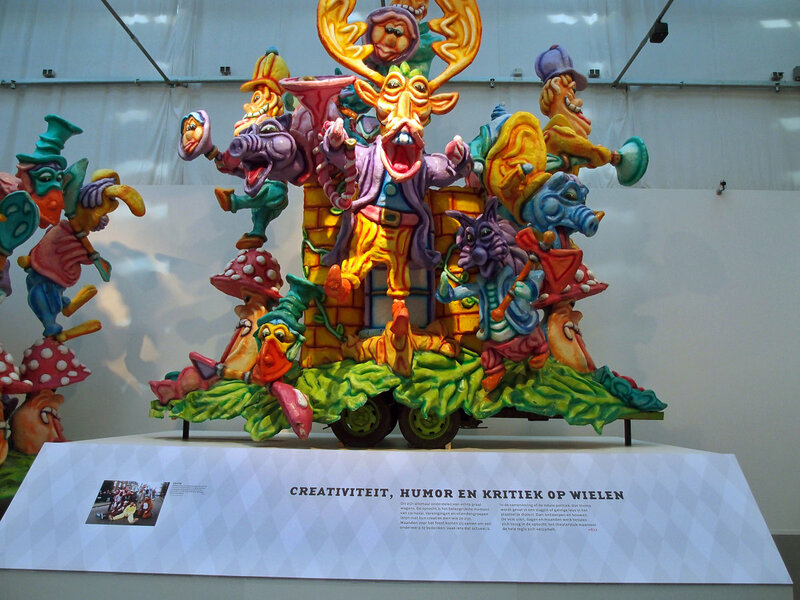 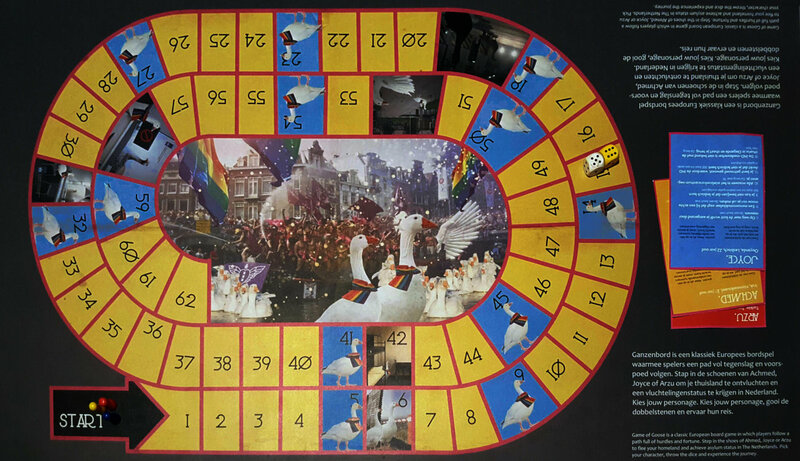 But let’s not forget how we do it here in the Netherlands either. Wherever you celebrate, there are some golden threads running through all manifestations of Carnival: masquerades, seasonal rites and general “transgressional” behaviour. 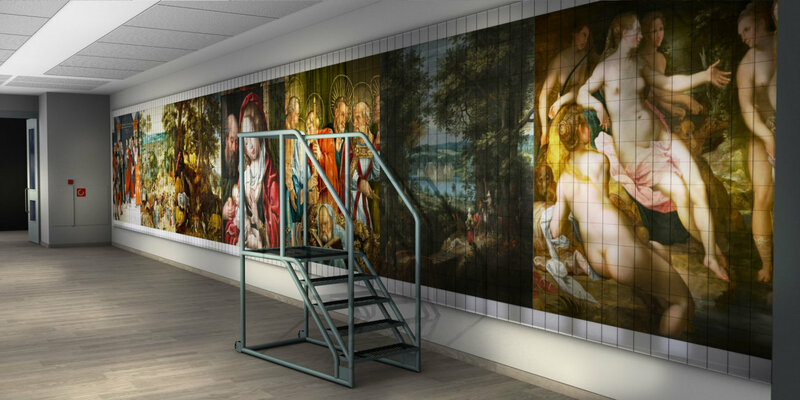 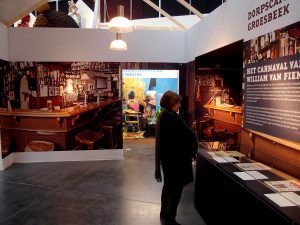 Todd van Hulzen Design created a design for the exhibition finely tuned to the particulars of the museum space, the needs of the visitor and the emotions of the narrative. 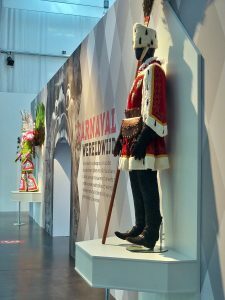 The story goes: Carnival worldwide is more than you know, familiar but strange, irreverent but ceremonial, ancient but continually reinventing itself. To enter the exhibition we pass through a carnivalesque maw in a wall that separates the show from the entry corridor. 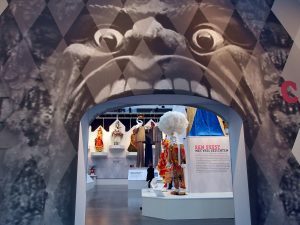 This giant mouth is the entry into another world, the world upside-down. 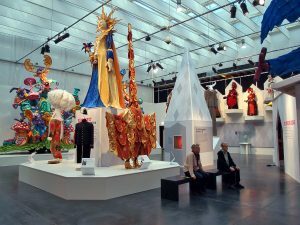 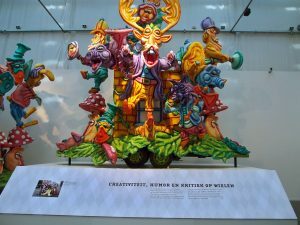 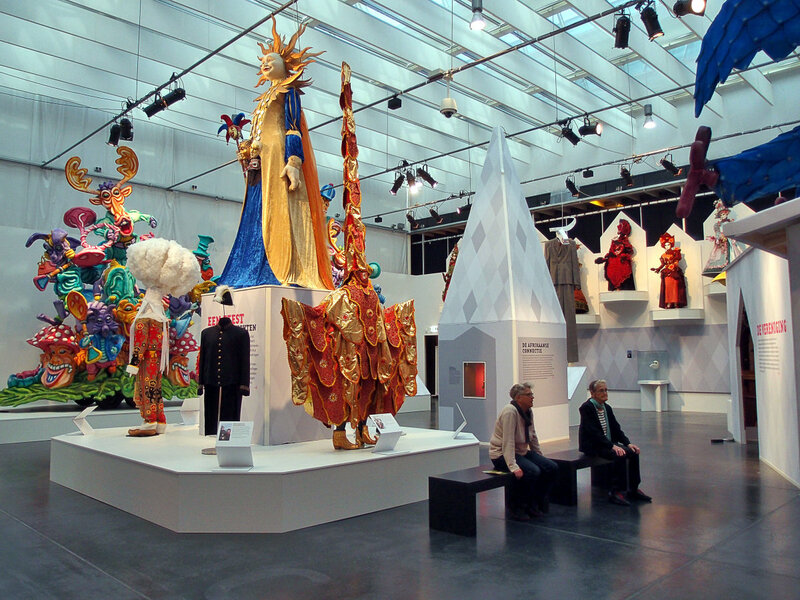 In the large exhibition hall called the “Atrium”, which is full of light, we nested all of the colorful objects —floats, costumes, maquettes— in a background of white and grey. 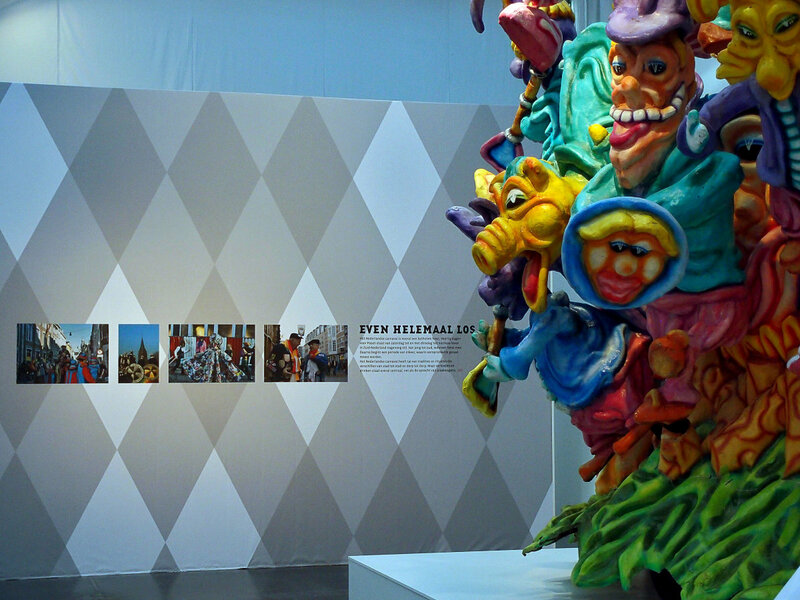 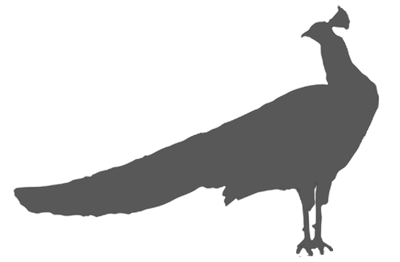 The motif that repeats throughout the exhibition is the lozenge, or diamond. This is a reference to the tradition of jesters and fools dressed in harlequin suits, as well as the ancient origins of the harlequin itself. 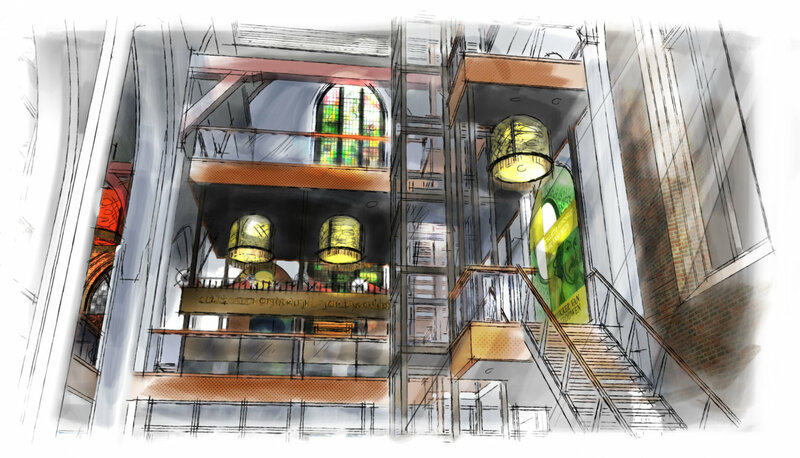 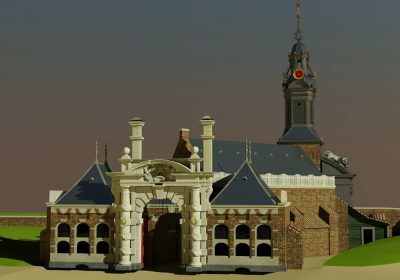 In the large Atrium we find smaller spaces, the clubhouses of three different associations: the locals, Groesbeek; the bistro-gallery in New Orleans; and the hectic workshop in Rio de Janeiro. 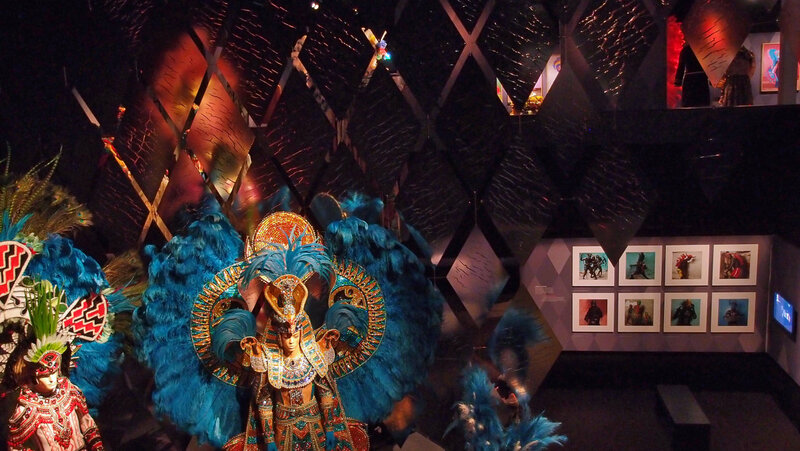 The diamond motif is continued into the next rooms which are low and dark. 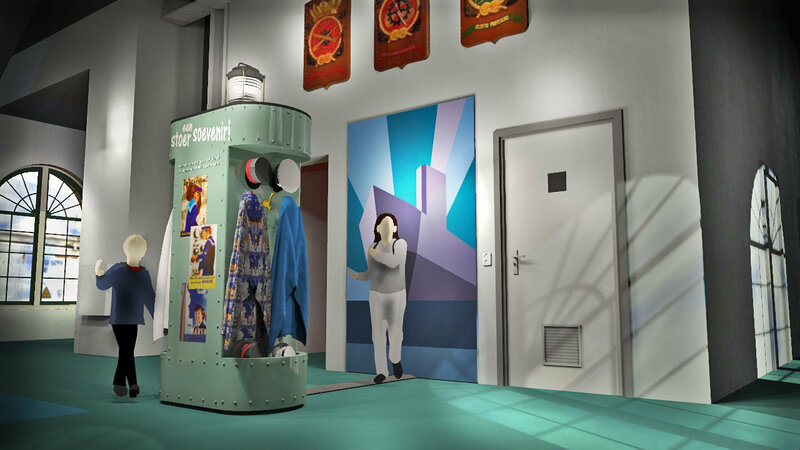 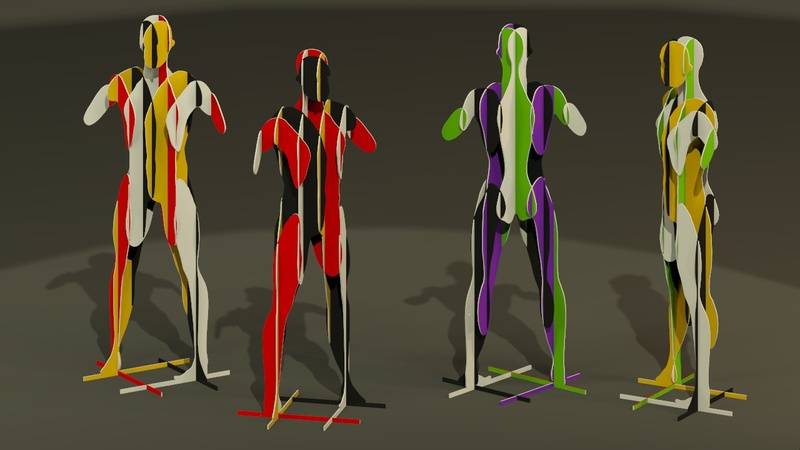 Here are the objects that exude a bit more mystery, and also have lower light requirements. In the high vide of this space we find an ascending pyramid of carnival costumes from Brazil and Africa. 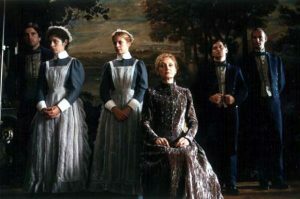 And on the mezzanine we continue to the end, where we have traditions of closure: burning, purification and the clean-up. 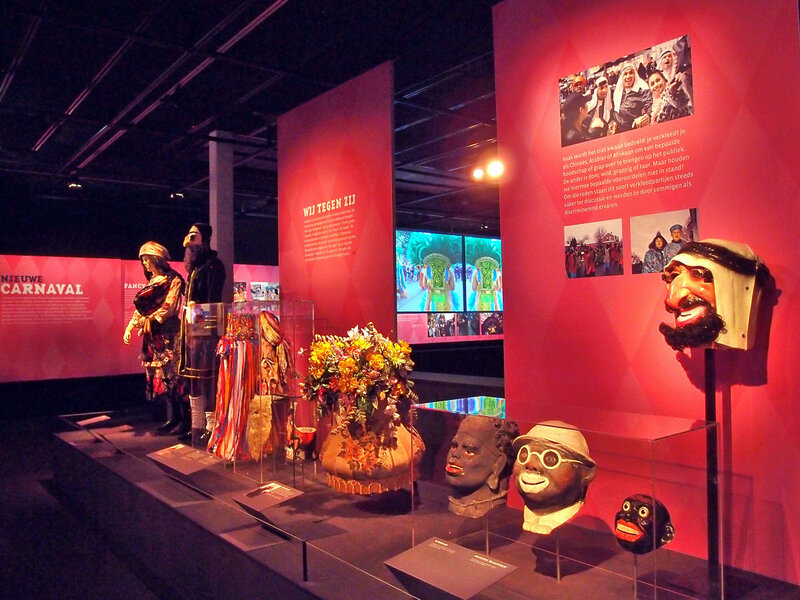 Thanks to a great team at the Afrika Museum, and to Wendy Jansen, project coördinatrix extraordinaire.